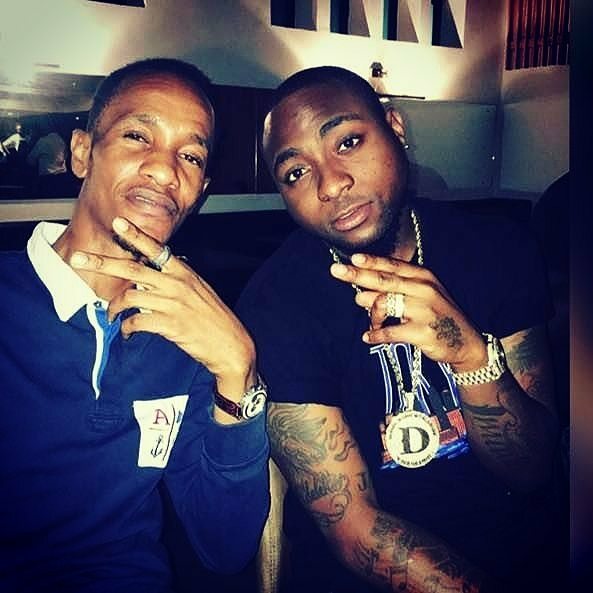 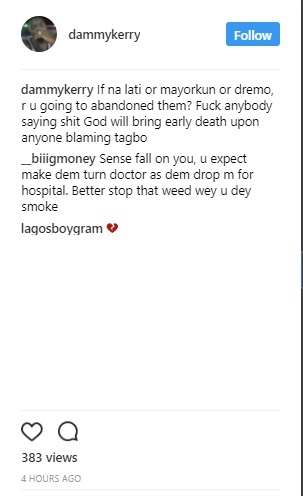 As More things keeps unfolding following the death of Caroline Danjuma’s brother Tagbo, Music Producer Dammy Kerry has blasted Davido, saying he did not only abandoned the poor boy at the Hospital, and dumped his car, him and his friends are yet to visit the Police station for statement. 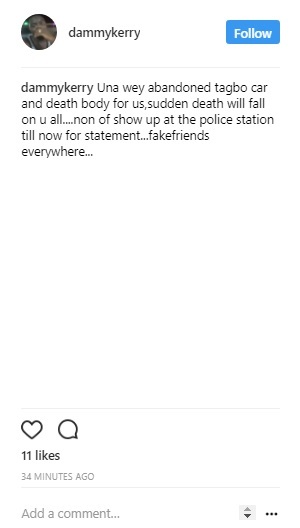 The music producer added also that the singer is a fake friend. 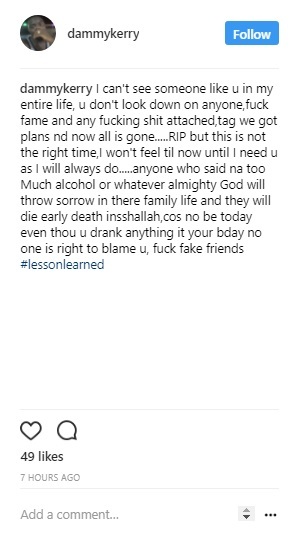 Read his series of post below!